As inevitable as the tides, we get extended versions of Peter Jackson’s movies. This held true for all three Lords of the Rings flicks and now find longer cuts of the first two Hobbit tales. Unless some sort of Kiwi apocalypse occurs, I’m willing to bet an elongated Hobbit: The Battle of the Five Armies will show up in the fall of 2015. Until then, we’ll occupy ourselves with a look at the second chapter in the series, 2013’s The Desolation of Smaug. For full coverage of my thoughts about Desolation, please check out my review of the theatrical version. For this article, I’ll stick with the differences evident in the “Extended Edition” of the film. The longer version of the series’ first chapter – 2012’s An Unexpected Journey - added 13 minutes to the theatrical release. Desolation goes even farther, as it brings an extra 25 minutes to its original 161-minute cut. Thanks to a helpful option in the chapter menu, I could easily identify scenes that are new and those that are extended. In the former category, we get “Queer Lodgings” (five minutes, one second long – spans minutes 15:55 to 20:56 of the film’s running time), “Where the Shadows Lie” (2:37 – 23:15-25:52), and “Son of Thror” (6:08 – 1:53:08-1:59:16). During “Lodgings”, we see Gandalf, Bilbo and the dwarves approach and get to know Beorn. “Shadows” offers a discussion between Beorn and Gandalf about the Necromancer and other potential threats for the dwarves. Finally, “Son” shows what happened to Thrain. In terms of extended scenes, we find 11: “The Quest for Erebor” (7:33), “The Elven Gate” (4:07), “Mirkwood” (8:15), “The Master of Lake-Town” (2:58), “The World of Men” (3:08), “The Prophecy” (3:00), “A Warm Welcome” (4:49), “The Parting of the Company” (3:28), “The Lonely Mountain” (1:47), “a Spell of Concealment” (2:05) and “The Enemy Revealed” (3:26). Note that those running times cover the entirety of the scenes, not just the added bits. The Quest for Erebor (3:27-4:49): Flashback to Battle of Moria and speculation over the fate of Thrain. The Quest for Erebor (4:57-5:27): Gandalf asks about Thrain’s ring. The Elven Gate (29:22-29:30): Gandalf warns Bilbo about a threat. Mirkwood (30:54-37:38): Bilbo and the dwarves pass over poisoned water and encounter other issues on their path. The Master of Lake-Town (1:26:51-1:28:07): The Master and Alfrid discuss what to do about Bard. The World of Men (1:28:40-1:30:28): Bard and the villagers help the dwarves. The Prophecy (1:38:23-1:38:28): The villagers chatter about the Prophecy. The Prophecy (1:39:24-1:39:54): The Master and Alfrid discuss the Prophecy. A Warm Welcome (1:42:39-1:43:19): Bilbo vouches for Thorin’s character. The Parting of Company (1:47:27-1:48:28): The Master discusses his strategy and refuses to help the remaining dwarves. The Lonely Mountain (1:49:11-1:49:48): Bilbo learns a little about the realm’s prior glories. A Spell of Concealment: (1:52:18-1:52:37): Gandalf explores Dol Guldur. The Enemy Revealed (2:09:23-2:11:21): Gandalf and Thrain fight evil forces. Note that some of these totals include elements found in the theatrical flick or altered for the extended cut. For instance, parts of the Gandalf/Thrain scenes appear in the theatrical version but without the presence of Thrain. That dwarf character becomes the most substantial change to the extended cut. He doesn’t quite become a prominent character here, but he turns into an important one. Thrain’s moments add some depth and gravity to the affair and improve the story. Otherwise, the added/extended elements don’t do a ton for me. A lot of the material with the Master seems redundant, and the Lake-town footage – which constitutes a lot of the added information – feels a little like padding. I can’t call these scenes redundant or pointless, but they don’t seem especially important. The same goes for all the other new components. Do any of them hurt the film? No, not in my opinion. Do any of them improve the movie? That’d also be a no, as I think whatever extra depth the scenes bring gets semi-negated by the longer running time. None of this makes the Extended Edition of Desolation a bad choice or inferior to the theatrical cut. In truth, I think they’re pretty equivalent, as I do find it fun to view the sequences added to the longer version. With the possible exception of the Thrain sequences, I just can’t claim that much about the Extended Edition actually improves upon the shorter theatrical cut. Both are good and work in their own right, but I don’t think one works better than the other. While the theatrical Blu-ray included a good set of extras, the Extended Edition contributes a wealth of these components. On Disc One, we find an audio commentary from director/writer/producer Peter Jackson and writer/co-producer Philippa Boyens. Both sit together for this running, screen-specific look at the source material and its adaptation, cast and performances, story, character and script areas, changes for the Extended Edition, sets and locations, cinematography and visual design, various effects, music and other domains. If you look back at my review of the extended Unexpected Journey, you’ll see I simply quoted the topics discussed from that review. I was tempted to do the same with my subjective discussion of the commentary, as Jackson and Boyens offer a chat that matches up closely with the earlier track. And that’s a good thing, as they consistently create enjoyable chats. After all these Tolkien movies, Jackson and Boyens know what to do, and they cover the movie in a delightful manner. They touch on all the appropriate topics in depth and offer enough charm and humor to allow the piece to move at a brisk manner. This turns into yet another very likable and informative discussion. 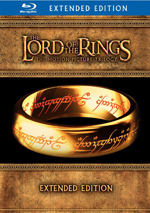 Also found on the theatrical edition Blu-ray, a featurette called New Zealand: Home of Middle-earth, Part 2 runs seven minutes, 11 seconds and provides notes from Jackson, supervising location manager Jared Connon, DP Andrew Lesnie, and actors William Kircher, Stephen Hunter, Martin Freeman, Adam Brown, Mark Hadlow, Graham McTavish, Richard Armitage, Peter Hambleton, Jed Brophy, Mikael Persbrandt, Dean O’Gorman, Ian McKellen, Luke Evans, and Evangeline Lilly. Like “Part 1”, the program gives us some info about the sets and locations used for the film. Also like its predecessor, this comes across like a promo from the New Zealand Board of Tourism, but it still manifests a few good nuggets. 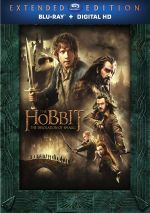 On Disc Two, a compendium of featurettes called Into the Wilderland: The Chronicles of The Hobbit - Part 2. We find 14 chapters here, and they range in length from three minutes, 22 seconds (“Opening”) to 30 minutes, five seconds (“The Elven Sluice”). All together, “Wilderland” fills a whopping five hours, 26 seconds. We hear from Jackson, Boyens, production designer Dan Hennah, second unit director Andy Serkis, best boy Ants Farrell, 2nd Second AD Bruno du Bois, stand-in Dean Knowsley, on set art director Ben Milsom, stunt performers Michael Homik, Ingrid Kleinig, Min Windle, Brett Sheerin, David Muzzerall, David Stella and Tim McLachlan, swordmaster Steven McMichael, VFX supervisor Chris White, animation supervisor Eric Reynolds, motion capture pipeline manager John Aberdein, VFX producer Kevin L. Sherwood, motion capture tracker Shea Melville, motion control supervisor Alex Funke, conceptual designers Alan Lee and John Howe, producer Zane Weiner, 2nd unit 1st AD Liz Tan, boom operator Corrin Ellingford, soft furnisher Kirstin McKee, unit production manager Brigitte Yorke, NZ casting director Miranda Rivers, stunt coordinator Glenn Boswell, set decorator Ra Vincent, costume designers Anne Maskrey and Bob Buck, art finisher Hamish Brown, Weta Workshop concept artist Daniel Falconer, supervising art director Simon Bright, visual effects supervisor Eric Saindon, motion control operators Paul Maple and Horst Sarubin, 2nd unit production manager Belindalee Hope, assistant stunt coordinator Augie Davis, dialect coach Leith McPherson, gaffer Reg Garside, The Hobbit Visual Companions author Jane Johnson, set finishing supervisor Kathryn Lim, editor Jabez Olssen. construction manager Colin Davidson, construction foreman Neil Cromie, art director Brad Mill, dolly grip Mick Vivian, FX supervisor Ronnie Menahem, key grip Tony Keddy, previs supervisor Christian Rivers, SPFX supervisor Steve Ingram, health and safety coordinator Andy Buckley, head of technology Dion Hartley, senior visual effects supervisor Joe Letteri, animation supervisor David Clayton, additional assistant 2nd AD Joshua Watkins, digital effects supervisor Jeff Capogreco, FX supervisor Kevin Romond, 2nd Second Assistant AD Rodney Davis, lead stereographer Sean Kelly, senior SPFX technician Sean Harris, scale double Kiran Shah, sound designers David Farmer and David Whitehead, supervising sound editors Chris War and Brett Burge, post production supervisor Joshua Levinson, and re-recording mixers Christopher Boyes and Michael Semanick. We also get notes from actors Martin Freeman, Richard Armitage, Lee Pace, Benedict Cumberbatch, Evangeline Lilly, Orlando Bloom, Luke Evans, John Bell, William Kircher, Graham McTavish, Adam Brown, Mark Hadlow, Jed Brophy, Stephen Hunter, Stephen Colbert, Stephen Fry, Ryan Gage, John Callen, James Nesbitt, Mary Nesbitt, Peggy Nesbitt, Peter Hambleton, Aidan Turner, Dean O’Gorman, Ian McKellen, Mikael Persbrandt, Ken Stott,and Billy Connolly. These pieces act largely as a production diary, as we follow various aspects of the shoot. Along the way, we learn about sets and locations, stunts and action, cast and performances, various effects, props, weapons, costumes and makeup, story/character areas and adaptation topics, sound design, and a preview of the third film. Even with five hours of content, “Wilderland” moves briskly and smoothly. The featurettes follow a logical path as they cover the movie in “story order” and give us a nice overview of various areas. The pieces flew by as they kept me informed and entertained. Disc Three gives us a compilation of 14 featurettes. Entitled The Journey to Erebor, these last between four minutes, 22 seconds (“Credits”) and 30 minutes, 17 seconds (“The Men of Lake Town”). Taken as a whole, they go for five hours, five minutes, 51 seconds. Among those heard from earlier, we get notes from Peter Jackson, Eric Saindon, John Howe, Jane Johnson, Philippa Boyens, Daniel Falconer, Kevin Sherwood, Christian Rivers, Martin Freeman, Benedict Cumberbatch, Leith McPherson, Andy Serkis, Joe Letteri, David Clayton, Eric Reynolds, Alan Lee, David Farmer, Mikael Persbrandt, William Kircher, Adam Brown, Mark Hadlow, Bob Buck, Stephen Hunter, Evangeline Lilly, Brett Burge, Michael Semanick, Anne Maskrey, Luke Evans, Stephen Fry, Corrin Ellingford, Bruno du Bois, Ryan Gage, Liz Mullane, James Nesbitt, Mary Nesbitt, Peggy Nesbitt, John Bell, Richard Armitage, Dan Hennah, Dean O’Gorman, Simon Bright, Jed Brophy, Kathryn Lim, Ra Vincent, Ben Milsom, Graham McTavish, John Callen, Orlando Bloom, Lee Pace, Steve Ingram, Chris White, Brigitte Yorke, Stephen Colbert, David Whitehead, and Joshua Levinson. In terms of new participants, we find material from Weta Workshop creative director Richard Taylor, The History of “The Hobbit” author John D. Rateliff, JRR Tolkien: Author of the Century author Tom Shippey. Weta Workshop concept artists Lindsey Crummett, Ben Mauro, Paul Tobin and Greg Tozer, lead creatures designer Andrew Baker, textures supervisor Geno Acevedo, Weta Workshop lead concept designer Nick Keller, Weta Workshop sculptor Jamie Beswarick, VFX supervisor Matt Aitken, senior animator Krzysztof Szcepanski, creature supervisor Gios Johnston, senior texture artists Myriam Catrin and Alwyn Hunt, senior shading technical director Guillaume Francois, senior modeler Andreja Vuckovic, supervising sound editor Chris Ward, lead animator Kevin Estey, lead facial modeler Mark Haenga, senior FX technical director Mathieu Chardonnet, hair and makeup designer Peter Swords King, prosthetic supervisor Tami Lane, head of compositing Charles Tait, arachnologist Phil Sirvid, VFX sequence supervisor Mark Gee, prop making supervisor Paul Gray, model maker Neil Schrader, greens master Simon Lowe, sculpting supervisor Sam Genet, leading hand Richard Fennell, layout sequence lead Garrett Winters, lead texture artist Ula Rademeyer, model maker Vibol Moeung, boat building lead hand Mark Smith, Chronicles Glass owner Lindsay Patterson, potter Ivan Vostinar, graphic designer Daniel Reeve, layout show lead Jacob Stephens, head of layout/animation tech Shawn Dunn, The Music of “The Lord of the Rings” author Doug Adams, WB Pictures President of Music Paul Broucek. composer Howard Shore, supervising music editor Mark Willsher, music editor Nigel Scott, orchestrator James Sizemore, orchestrator/conductor Conrad Pope, section principal harp Carolyn Mills, concertmaster Vesa-Matti Leppanen, double bass Steve Taylor, NZ score coordinator Kate Mulligan, music recordist mixer Peter Cobbin, section principal timpani Laurence Reese, section principal flute Bridget Douglas, viola Phillip Rose, score editor/mixing Kirsty Whalley, session copyist/librarian Victor Pesavento, associate principal trumpet Cheryl Hollinger, Gamelan music director Budi Putra, and Gamelan Orchestra’s Briar Prastiti. “Journey” examines dragons and the design/execution of Smaug in great detail. We also learn about similar aspects related to Beorn, various spiders, Lake-town, Beorn’s house, Mirkwood, and the Woodland Realm. “Journey” concludes with an examination of the film’s music. After five hours of content on Disc Two, I feared “Journey” would become redundant and/or boring. Happily, the material found here remains consistently engaging and interesting. Actually, I must admit the hour of music coverage leaves me a little cold and probably could’ve used less time, but that’s a minor gripe. “Journey” digs into a wealth of useful areas in a lively and enjoyable manner. As the second chapter in a trilogy, The Hobbit: The Desolation of Smaug does fairly well for itself. Though the tale can drag and feel padded at times, it still packs enough adventure and drama to make it an enjoyable experience. The “Extended Edition” adds some moderately interesting components but doesn’t necessarily improve the film. Neither does it make Desolation worse, however, so the preferred version will remain up to the viewer. The Blu-ray provides excellent picture and audio along with a terrific set of supplements. While it’s a coin toss in terms of which cut of Desolation you like best, this Blu-ray becomes the stronger release due to the exhaustive collection of bonus materials.